On Saturday 25 March 2017, at 8.30pm, the Ambassador Theatre Group (ATG), the world's number one live-theatre company - will join the world's largest climate change demonstration, WWF's Earth Hour. Millions across the globe will switch off their lights for one hour to show they care about the future of our planet and call for action on climate change. The Earth's atmosphere is warming fast. In some cases weather patterns, climates and natural environments are changing quicker than wildlife or people can adapt. Global temperatures have been rising for over a century, speeding up in the recent years, and are now at their highest. 2016 was the hottest year on record, beating the previous two records of 2015 and 2014. By joining the global movement, ATG will take part in a symbolic moment, designed to raise awareness of climate change and to remind us that, together, we have the power to make change happen. To celebrate Earth Hour, ATG will be switching off all non-essential lights in all its UK and US theatres at 8.30pm on Saturday 25 March for one hour and encouraging its customers to sign up. Mark Cornell, ATG's Chief Executive, said: "We are proud to take part in WWF's Earth Hour for a fifth consecutive year. 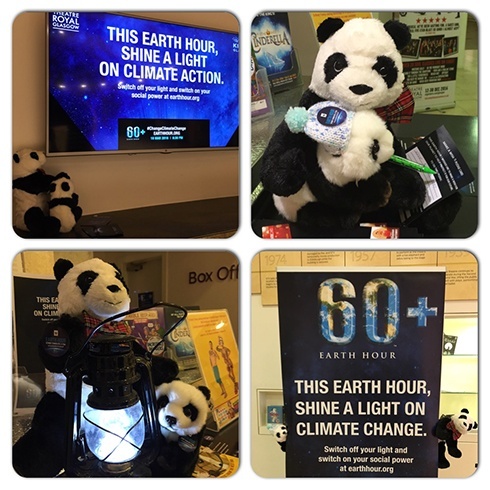 This important environmental initiative has become something of an annual event on the ATG calendar and our employees and environmental ambassadors remain committed to raising awareness of climate change through customer engagement within our theatres." "Everyone can make a difference to help protect our planet and ATG continues to fly the flag for green initiatives. In 2016 we reduced our carbon emissions for the 3rd year running, equating to a reduction of 1336 tonnes across the UK portfolio, and we have increased the Group's recycling rate year on year since 2013; currently standing at 87%, with a target to reach of 90% during 2016/17." "We're also delighted to announce that four of our London theatres - Trafalgar, Savoy, Playhouse and Lyceum - are in line to become Air Quality Champions during 2017." 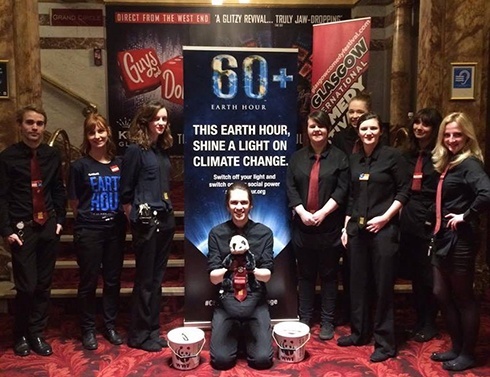 Naomi Hicks, Head of Activations at WWF-UK, said: "We're thrilled that the Ambassador Theatre Group will once again be taking part in WWF's Earth Hour for the fifth year running and I hope that they'll inspire many others to get involved. By taking one simple step to switch off, WWF's Earth Hour is a chance for all of us to come together and send out a global message that the time for strong climate action is now."